يشكل فندق فندق ذا شكسبير بموقعه الممتاز في منطقة مطاعم, الأعمال, تسوق ضمن المدينة، مكاناً ملائماً لقضاء العطلة بعيداً عن عجقة أيام العمل. إن موقعه الجيد الذي يبعد 0.2km فقط عن مركز المدينة يساعد النزلاء على الاستمتاع بمعالم المدينة ونشاطاتها. يوفر الفندق بفضل موقعة الجيد وصولاً سهلاً إلى أهم معالم المدينة.
. يقدم فندق ذا شكسبير خدمات لا غبار عليها وكل أشكال اللياقة وحسن الضيافة اللازمة لإسعاد ضيوفه. لضمان راحة ضيوفه، يقدم الفندق الخدمات التالية: واي فاي مجاني في جميع الغرف, خدمة التنظيف يوميًا, خدمة سيارات الأجرة, مطبخ, كازينو . بالإضافة لهذا، تتضمن كل غرف الضيوف مجموعة واسعة من وسائل الراحة . بعض الغرف توفر حتى تلفزيون بشاشة مسطحة, سياسة التدخين - غرف لغير المدخنين متاحة, تدفئة, تلفزيون, مستلزمات التجميل لإرضاء أكثر الضيوف تطلبًا. سواء كنت من محبي الرياضة أو كنت تتطلع لتفريغ عناء نهار صعب، ستجد خدمات ذات مستوى عالي بانتظارك كمثل غرفة ألعاب. اكتشف مزيجاً ساحراً من الخدمة الاحترافية والخيارات الواسعة من وسائل الراحة والمتعة في فندق ذا شكسبير. 1. Toby helped us with our big luggages up the stairs even though they've no bell boy. There's no lift in the hotel by the way. 2. We didn't realise that our window latch was broken when we checked in. We brought it up with the hotel manager on duty - Saleem and he came up and fixed it on the spot. Truly appreciate the friendly and helpful staff. The Shakespeare Hotel has small rooms and no elevator, so you have to take your luggage up steps, if you can get past that, it has lots of friendly people who are very helpful, a restaurant with really good food and lots of atmosphere. The location is also very good for getting around, it's is close to the sky tower and the waterfront. Nice pub downstairs, only complaint was the recommendation for a good price for taxi to airport. We had already taken 2 discounted taxis from airport camper van pickup for the price of $35 NZ and one had his meter running with price of $55. We felt the "good price " of $80 dollars was way over from this guy recommended by he Shakespeare. Would use nearby quotes from the VIctoria road i.e. The Best Western was cheaper. Good location, free wifi, nice n clean room, bathroom uses hose for shower is a plus which rarely to find it at hotels in western countries, and very with strong shower on top floor, no elevator but not a big deal. Downside are thin wall and horizontal blinds for window! The hotel location is good. Easy access to the city area. The must try thing is their house brewed beer. Very nice beer. However, the hotel is a bit old and no escalator. If you stay on the highest level, is a bit difficult to carry your luggage up. But, their staff willing to help out. Still value for money to stay. One contact with staff, all fine. Room was very small, thought it may be a little boutique but it was just grubby and tiny. Curtains weren't hung right, etc. Carpet dirty around the edges, shower the same. Felt neglected. I was looking for cheap in fairness, had a look at the buget ibis, in comparison it was the same size, same facilities but clean to the edges and no web pretense of being anything but budget. (Looked at ibis room after we checked into shakespear, because we are looking for a regular cheap place in Auckland for of weekends). Property is being miss sold: 1) There is no garden and therefore obviously no garden view. 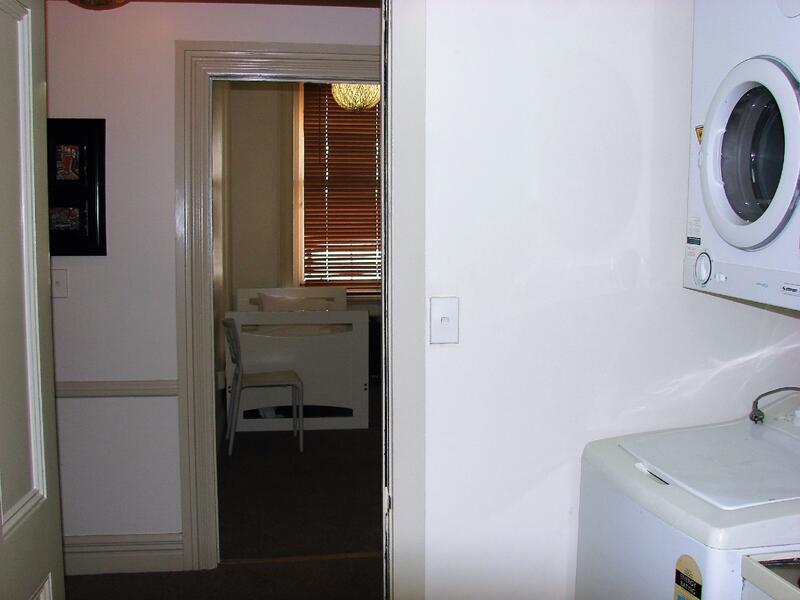 2) Room was very smalll and certainly not 25 square meters. No lift therefore difficult to carry large luggage to 3 rd floor ( no help offered). Good hotel, good location, good price. Hi Amy, Thanks so much for your feedback! We're so pleased you enjoyed your stay with us. Best wishes! The hotel has no reception. They attend you inside of the bar that is always noisy. The room is small, dirty, smelly and there is no air conditioning. The windows have a bad closing system so you can listen the noises from outside. The shower was broken at the time of our stay. I wouldn’t recommend this place to anyone. 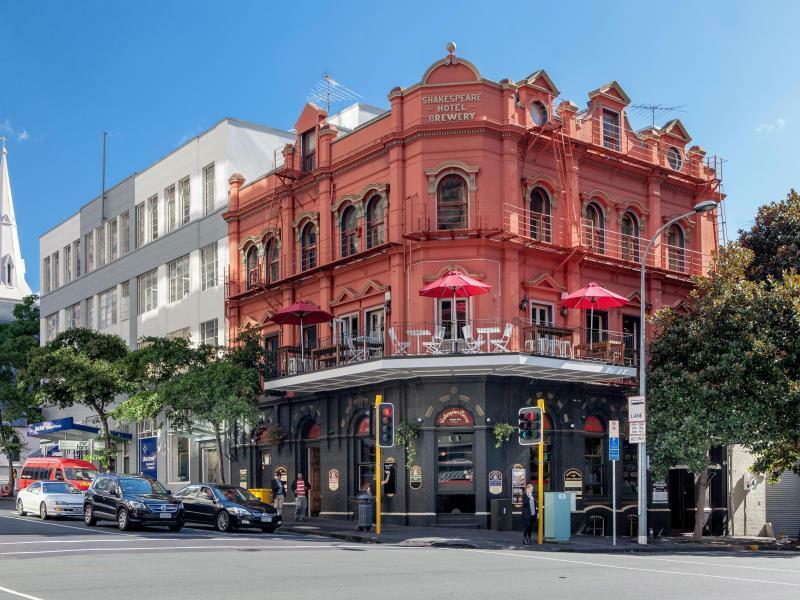 The location is great with just a short stroll to the harbour front and city centre. The staff are super friendly and helpful. Being an old heritage hotel the rooms are a little small and basic. But they are clean and functional and the beds are comfortable. If you have a lot of luggage, choose a lower floor as there are no elevators. We would stay here again. Good value for the location. Awesome location few blocks to tons of restaurants and waterfront , rooms very small and dated. Downstairs brewery great beer sometimes has live music. If you don’t spend lots of time in your room it’s a great spot to recharge energy and get going. The room size and equipment are really minimal. Located at the intersection of Albert and Wyndham Street we were treated all night long to the regular buzzing of the pedestrian stoplight under the window. (Bring your ear plugs!) The staff, however, was extremely friendly and helpful. We loved the charm and location of hotel. Pretty cool to stay above bar and restaurant. Rooms were small but beds were very comfortable. We checked in early and left pass our check out time. Never was it problem. They stored our bags and we had some great craft beer from them. Our check in guy was totally cool and was extremely helpful. Would stay again!!! The girl at the bar was delightful as was the pool table. The selection of beer was very slim. The accomodation did the job in a great location however my feet were hanging over the end of the bed (I'm 165cms) as were my partners and he continued to hit his head on the poorly designed ceiling. Plenty of stairs to climb also. Overall I think it overpriced but youre paying for location, and your paying a lot for parking! The Hotel was basic but warm and all that you need was provided. The staff were fabulous and made me feel welcomed. The tavern itself had great meals and an ever changing mix of people. The only draw back that there were no lifts but that is just my problem as i have bad knees. I would stay there again but next time i will travel light. Location is A1! Walked to everything from the ferry terminal to Ponsonby to Britomart. Very accommodating staff. Room a bit on the small side but quirky and charming. Being on the last floor, we carried our bags without an elevator but it was advertised as is. We also ate lunch specials once and enjoyed it! My wife and I stayed here for one night when we arrived in Auckland. We were looking for a place that was reasonably priced and in a good location. 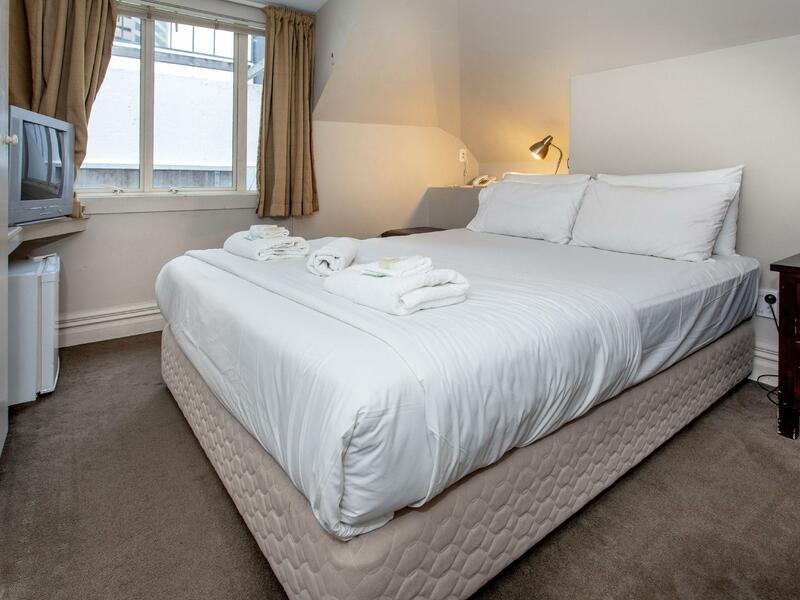 The Shakespeare hotel ticked both boxes and we were pleasantly surprised by the quality of the room. While not super spacious, it was clean and tidy and offered everything we needed. We had a nice loft room with a great view of the city. One of the only cons I would possibly mention is that if you have a third floor room and heavy luggage then you'll need to carry that up the stairs. Otherwise I highly recommend the Shakespeare Hotel for value for money and location.